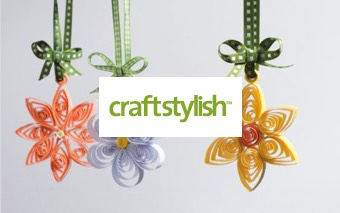 An easy-to-make corset ornament can be used as a gift tag, hung from your holiday tree, or fashioned into a sachet. Corset ornaments make stylish gifts for friends and family. Hang these tiny symbols of fashion from the tree, fill them with lavender to freshen up a drawer or car, or use them as gift tags. How’s that for being cute and stylish? They’re easy to make: You can prepare, quilt, and construct corset ornaments in less than an hour. Cut two 6-inch fabric squares. 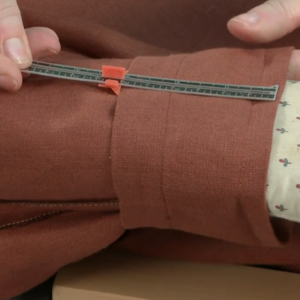 Fuse interfacing to the wrong side of the fabric. Fuse interfacing to the wrong side for stability. 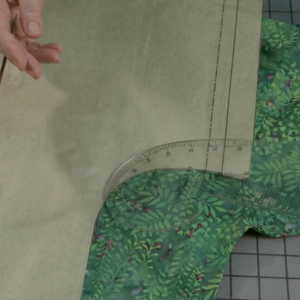 Trace the corset-shape pattern onto the right side of the fabric with chalk. 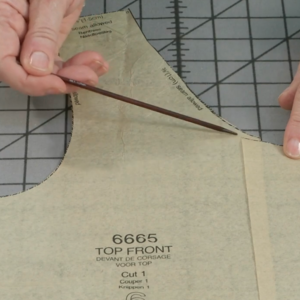 If you plan to quilt the bodice, mark quilting guidelines. 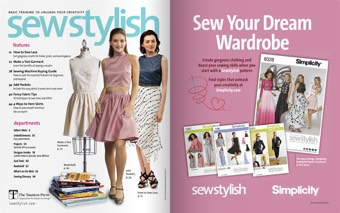 Download the free pattern PDF. 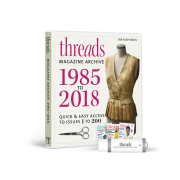 Download the free pattern PDF. 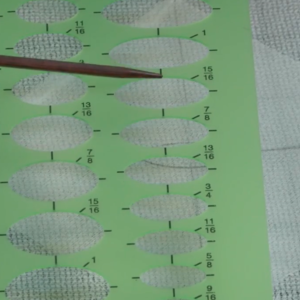 Trace it onto the right side of the stabilized fabric. 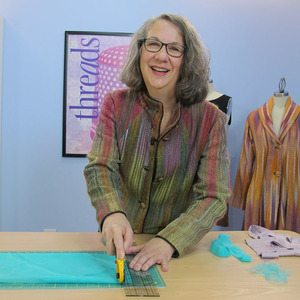 Choose a shiny rayon or polyester thread to quilt the corset. 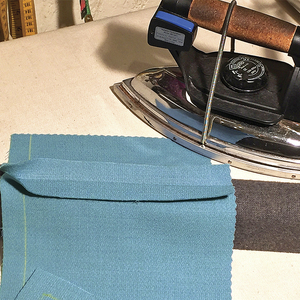 Place a layer of thin cotton batting behind the interfaced fabric. 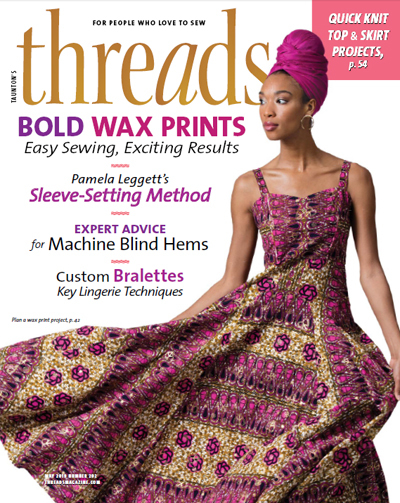 Set your machine for a straight stitch and a stitch length of 3.0 mm. Define the bust and waist as shown. 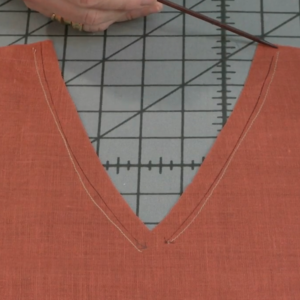 Stitch the decorative lines to outline the bust and waist. 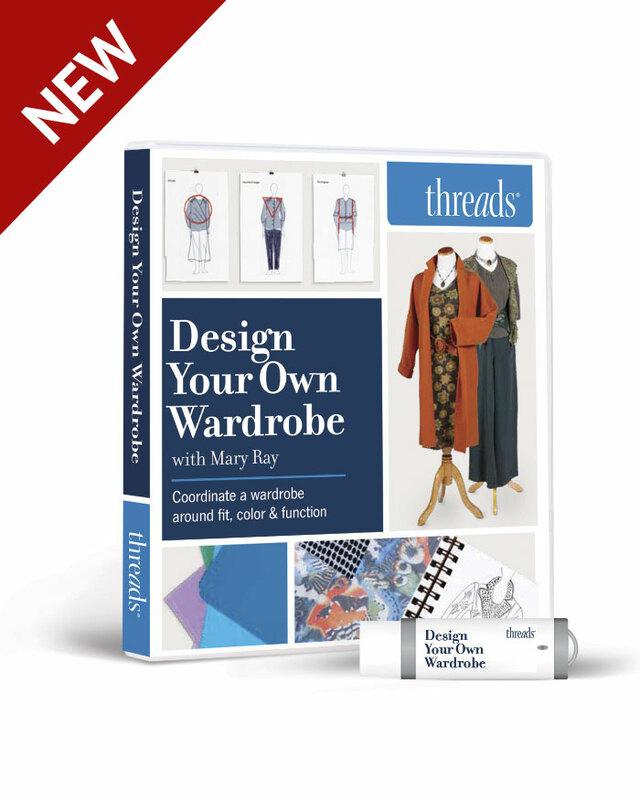 Change to a decorative stitch and sew to your liking—be creative. Trim all threads and extra batting. 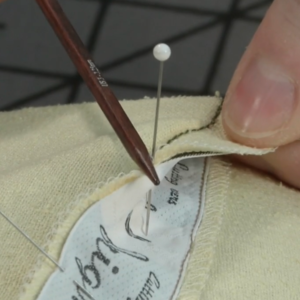 Choose a decorative stitching. Here’s your chance to make your own statement. 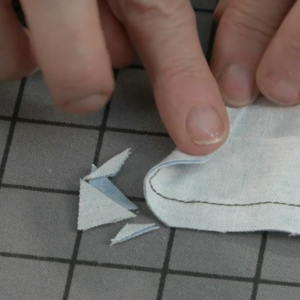 With right sides together, place the quilted front against the remaining piece of fabric. 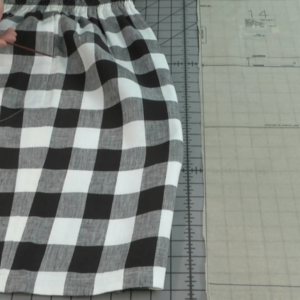 Sew around the edges using a 1/4-inch seam allowance. Leave a 2-inch opening on the bottom to turn. Trim the backing even with the quilted top. 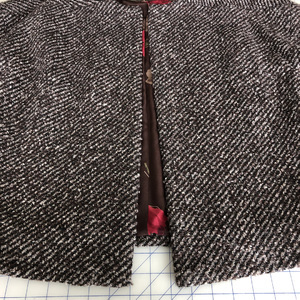 Add a backing to the quilted top. 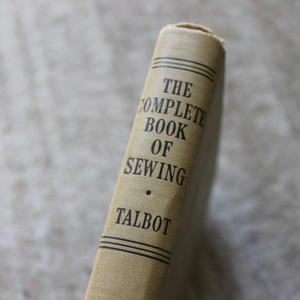 Sew, leaving a small opening. Trim all the corners. 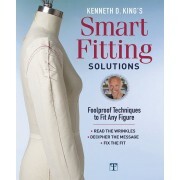 Clip the curves at the waist and center bust. With a point turner, turn the ornament right-side out. Press. Trim all the corners. Turn the ornament right-side out. Turn the seam allowances in on the bottom edge of the ornament. Slipstitch closed. Turn in the seam allowance. Slipstitch the opening closed and press. Cut a 12-inch piece of 1/8-inch-wide satin ribbon. Tie it around a round object such as a can of starch. Make a small bow, and then slip the ribbon off the can. Center the bow at the top of ornament. Tack it on with a few machine stitches. Make a bow. Use a can to easily tie the ribbon. Attach the bow hanger. Center it at the top of your ornament and tack it in place. 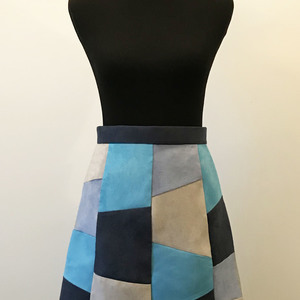 This post by Jennifer Stern was originally published November 29, 2016 on Craftstylish.com. Photos by Sloan Howard and Scott Phillips.